The Campaign for a Commercial-Free Childhood wrote Mark Zuckerberg a public letter today asking the Facebook CEO to shutter its recently released “Messenger Kids” app. The concerns raised by these well-meaning organizations and advocates center on the risks potentially created by the early adoption of technology among kids. I’m unpersuaded by their argument and feel they are baselessly targeting one particular app (that they have probably never tried). Facebook quietly released Messenger Kids about two months ago to little fanfare. Like other Facebook products, there is nothing all that innovative about its capabilities. As the name implies, it is simply a messaging app, but one designed for 6-12 year-olds (though it may struggle to catch on among the older youth in that age range who are already routinely using Snapchat and Instagram). It allows users to send text, photos, and videos to approved contacts. The novelty is that Facebook has baked in the ability for parents to control who their child connects with. I have an eight-year-old son who enjoys using Messenger Kids. He uses it almost exclusively to send goofy selfies to his mom and two grandmothers. I approved all of his connections (currently 6: his mother, an aunt and uncle, his two grandmothers, and one friend from his second-grade class). All communications are permanently stored in the app, which means I can go back through them anytime to check for anything of concern. So far, he has only used the app from my iPhone, so I can easily go into the app and review his conversations. I did so just now and noticed that my wife was recently quizzing him on religious education concepts. These communications are not public, and so no one but those I allow as connections can see what is sent. Messenger Kids was not available on Kindle the last time I checked, which is the only other device my son uses (mostly to play games and interact with educational apps). 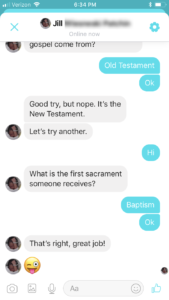 If he had the app on his Kindle, it would be more difficult for me to monitor his conversations (parents aren’t automatically privy to the messaging threads), but it wouldn’t be impossible. When I signed him up for the app I made clear that I was in charge, and that I could see everything that he sent. At 8 years of age, he had no problem with that. As he gets older and more experienced with messaging and interacting online in other ways, I will gradually give him more privacy and privileges. But for now, this app enables me to begin the all-too-important conversation about online safety and responsibility, and do so within a relatively controlled environment. The Campaign for a Commercial-Free Childhood letter raises concerns about privacy and the potential perils of tech addiction. How will Facebook use the information exchanged? Will children become obsessed with technology at an even younger age? I too share these worries. But those concerns are not specific to Messenger Kids, and I would argue that an app like this can actually create opportunities for parents to develop empathetic and resilient kids within in the context of appropriately defined and monitored online activities. I remind him that even though these messages seem to be visible to only the person they were sent to, Facebook too can see what is posted (and so can Dad). According to the Campaign memo: “A growing body of research demonstrates that excessive use of digital devices and social media is harmful to children and teens, making it very likely this new app will undermine children’s healthy development.” This statement is unsupported by solid research. The letter relies heavily on Jean Twenge’s (2017) work analyzing the relationship between happiness and screentime. 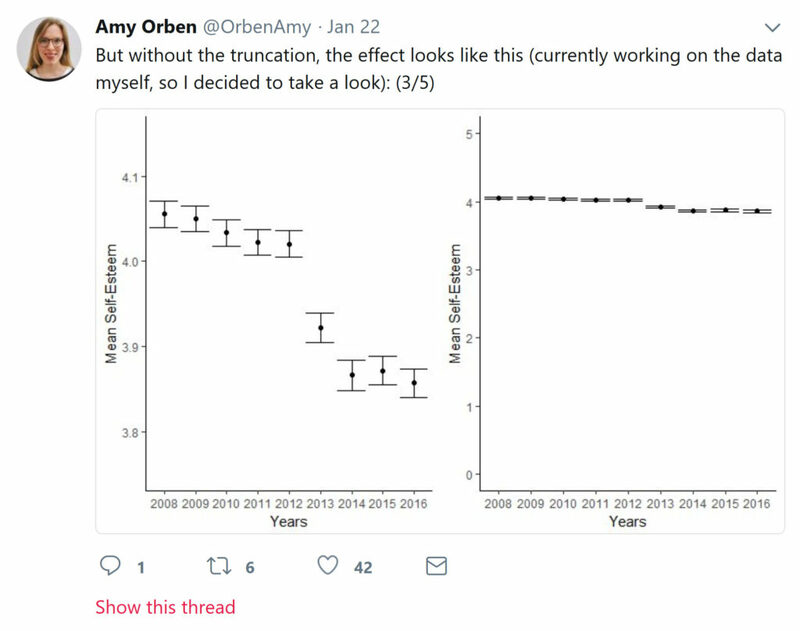 But that work has come under increasing scrutiny as other researchers (see Collier, 2017 and Livingstone, 2017) examine methodological decisions she made in constructing her analyses. In short, all reports linking social media or smartphone use to unhappiness are correlational at best (Cavanaugh, 2017). Among studies utilizing more sophisticated methodologies (Frison & Eggermont, 2016; Przybylski & Weinstein, 2017; Thorsteinsson & Davey, 2014), results are more complicated and nuanced to the point where the effects diminish significantly (or disappear altogether). Here’s what we do know: There has been an increase in social media and smartphone use in the last 5-7 years (Lenhart, Purcell, Smith, & Zickuhr, 2015). There has also been some reports of increased unhappiness, anxiety, and depression among teens during that same time period (Swan & Kendall, 2016; Weinberger et al., 2017). The researchers cited in the Campaign memo are suggesting that because these trends occurred at the same time, they must be related. But the evidence of this connection is very limited. Moreover, it’s also true that adolescent drug use (Johnston et. al, 2016), teen pregnancy (Sedgh, et. al, 2015), and youth crime (OJJDP, 2016) have also dropped in the last decade. Can we also blame these desired trends on expanded use of technology among youth that occurred simultaneously? 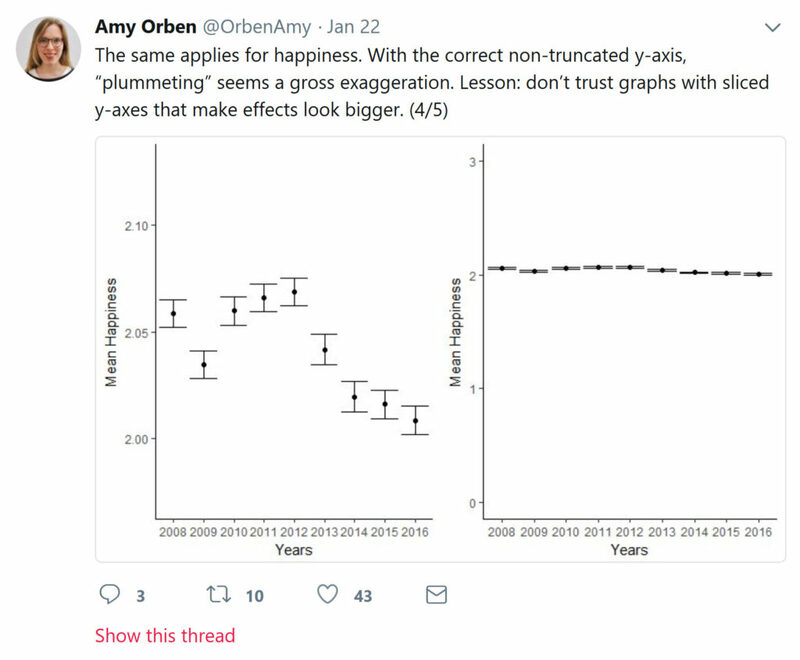 This begs the question: could the increase in unhappiness and anxiety (or decrease in deviance) be attributed to something other than smartphones and social media (Samuel, 2017)? In fact, I would argue that it is just as plausible that the availability of online communities helps to alleviate some social and emotional struggles of youth – potentially resulting in lowered depression and suicide than if they weren’t available (Davis, Weinstein, & Gardner, 2017; Lee, Leung, Lo, Xiong, & Wu, 2011; Senol-Durak & Durak, 2011). The truth is that we simply don’t know what is going on. There is a lot of research out there. Much of it is contradictory and of mediocre quality. If we really want to know the answers to these important questions, funding needs to be directed to study these issues in a more sophisticated way. Blaming a particular app or device is unproductive. The Campaign letter states that “Younger children are simply not ready to have social media accounts.” First of all, Messenger Kids is not a social media account. It is a messaging and video calling app. It is more akin to text, WhatsApp, Skype, or even Snapchat than Facebook or Instagram. Should we be asking Apple to get rid of iMessage and FaceTime on the iPhones we let our kids use sometimes? 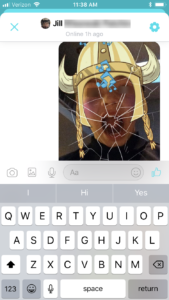 The reason young children (and teens for that matter) love Snapchat so much is that it gives them creative ways to communicate visually with their friends (using filters, stickers, gifs, emojis, etc.). Messenger Kids provides similar, fun, age-appropriate accoutrement. And unlike Snapchat, the messages don’t automatically disappear after a few seconds. To be fair, there are legitimate anxieties we as parents have about our children’s use (or potential misuse) of technology. I don’t want my child to stare at a screen for hours on end, or to post hurtful content directed toward someone else, or to interact with strangers online. But none of these fears are specific to any one app – they apply to all devices and online environments. There is nothing unique about Messenger Kids that makes it any more “risky” than any other app or site. In fact, there are some features that make it less likely your child will be victimized (or will victimize others). Whether Messenger Kids (or any other app, game, or site) can be overused or misused by children is parenting problem, not a technological one. Frison, E. & Eggermont, S. (2016).Exploring the relationships between different types of Facebook use, perceived online social support, and adolescents’ depressed mood. Social Science Computer Review, 34(2). Johnston, L. D., O’Malley, P. M., Miech, R. A., Bachman, J. G., & Schulenberg, J. E. (2016). Monitoring the Future national survey results on drug use, 1975-2015: Overview, key findings on adolescent drug use. Ann Arbor: Institute for Social Research, The University of Michigan. Lee, P. S., Leung, L., Lo, V., Xiong, C., & Wu, T. (2011). Internet communication versus face-to-face interaction in quality of life. Social Indicators Research, 100(3), 375-389. Lenhart, A., Purcell, K., Smith, A., & Zickuhr, K. (2015). Social media & mobile internet use among teens and young adults. Pew Internet & American Life Project: Washington DC, 2010. Livingstone, S. (2017). iGen: why today’s super-connected kids are growing up less rebellious, more tolerant, less happy–and completely unprepared for adulthood: Taylor & Francis. OJJDP (2016). Office of Juvenile Justice and Delinquency Prevention Statistical Briefing Book. Retreived from https://www.ojjdp.gov/ojstatbb/crime/JAR_Display.asp?ID=qa05274. Sedgh, G., Finer, L. B., Bankole, A., Eilers, M. A. & Singh, S. (2015). Adolescent Pregnancy, Birth, and Abortion Rates Across Countries: Levels and Recent Trends. Journal of Adolescent Health, 56(2), 223-230. Senol-Durak, E., & Durak, M. (2011). The mediator roles of life satisfaction and self-esteem between the affective components of psychological well-being and the cognitive symptoms of problematic Internet use. Social Indicators Research, 103(1), 23-32. Swan, A. J., & Kendall, P. C. (2016). Fear and missing out: Youth anxiety and functional outcomes. Clinical Psychology: Science and Practice, 23(4), 417-435. Thorsteinsson, E. B. & Davey, L. (2014). Adolescents’ compulsive Internet use and depression: A longitudinal study. Open Journal of Depression, 3(1), 13-17. Weinberger, A., Gbedemah, M., Martinez, A., Nash, D., Galea, S., & Goodwin, R. (2017). Trends in depression prevalence in the USA from 2005 to 2015: widening disparities in vulnerable groups. Psychological Medicine, 1-10. The app is nice and has its own benefits, but the chance of misuse or overuse is a big challenge. They wouldn&apos;t take much blame because they are only kids.